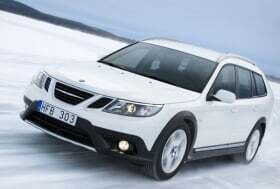 Saab has not launched an all-new vehicle since the 9-3 in 2002. TROLLHATTAN, Sweden -- General Motors' legacy will help the Swedish automaker to exist as an independent automaker, the head of the company's engineering center said. Mats Fagerhag, Saab's executive director of vehicle systems, says GM's investment in Saab means the Swedish brand has the facilities to design and build its next generation of cars. "We are going to get a kick start from GM, we have architectures and lifetime licenses to use vehicle architectures," Fagerhag told Automotive News Europe here. He added: "GM has been investing in Saab and Trollhattan for the last years. We have never had better equipment and tools and engineers than we have today." Although Saab has not launched an all-new vehicle since the 9-3 in 2002, the carmaker's engineers have not been idle, he says. They have been working as part of GM's global engineering organization, where they have specialized on GM's global mid-sized architecture, which is used on the Opel/Vauxhall Insignia, and the global compact platform that will be used on the new Opel Astra, which launches in Europe later this year. Saab engineers also have skills in all-wheel drive, chassis systems and the front structures of cars that have been used in other GM cars. "The skills and abilities they have got for Saab in the future are very good," Fagerhag said. Saab's new 9-5 premium sedan, which will be unveiled at the Frankfurt auto show in September, will feature much of their work. A station wagon version is also planned, along with a successor to the 9-3 lower-premium car. Fagerhag said even with an engineering staff of 900 people Saab would be able to design and build new models. "We definitely have the capacity to do other vehicles," he says. The company cannot lead in all areas and must instead concentrate where Saab's reputation is strong: performance, safety and environmental awareness. In other areas it will have to be followers of other company's technology, he says. Being outside of GM's global engineering system will enable Saab to be move faster and not be subjected to lengthy technical reviews and changes. The crisis in the auto industry means suppliers will be more willing to sell their products at lower volumes, he believes. Strategic partnerships with other automakers are an area that Saab will also look at, particularly engines, which Saab will probably buy in from other manufacturers. "Now can go out into the market to buy systems and components which makes us competitive," Fagerhag said. "No longer having the complexity of being in GM is going to make life much easier." The biggest challenge will be getting favorable prices for materials and components when volumes are lower. "If something keeps me awake, that is it," said Fagerhag. "We need to reuse things, not develop things that we don't need to be develop. Something that fits on a BMW or Audi car -- for example door latches -- would probably fit on a Saab." Some product sharing with GM will continue, although it will be more selective. "We are going to still use some components and systems from Opel and GM. But things the customer touches and feels and smells. We will have unique Saab development." There was a perception Saab did too much sharing with other GM brands in the past. "Absolutely, that is what we want to move away from in the future," Fagerhag said. Will he miss not being part of GM? Fagerhag worked at GM's European engineering center in Rüsselsheim, Germany, before choosing to return to Sweden. He said: "Saab is very close to my heart. I see the potential, if we can move all this capability and energy into Saab vehicles we can do something fantastic."